Leavitt Walmsley Associates (LWA) is expanding in every respect with a new office at Birchwood Park in Warrington, and further growth in their team following the recruitment of two new employees. LWA have been extremely successful in providing exceptional quality accountancy and business advisory services for over 20 years. The key to their success has been staying true to their simple but very effective mantra – Know like and trust. Directors Les Leavitt and Steve Collings have worked tirelessly to build their North West base and reputation. Deservedly, they have achieved a plethora of national accolades including Outstanding Contribution to the Accountancy Profession awarded by the Association of International Accountants, and the firm were finalists in the Independent Firm of the Year Scotland and North England category at the 2014 British Accountancy Awards. Local accreditations include runners up at the Altrincham & Sale Chamber Awards 2013. 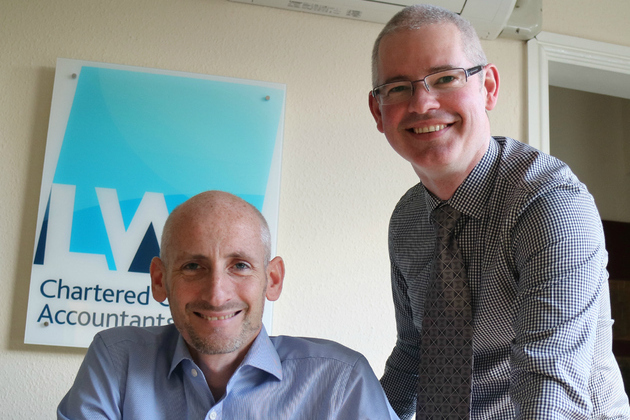 With so many growing businesses across the region requiring affordable yet impactful accountancy and business advisory services, LWA have experienced unprecedented growth predominantly from client referrals, resulting in the expansion with a second office. Having identified the vast range of opportunities available in Warrington, Birchwood Park was an obvious decision for directors Les and Steve with current clients based on the site, and further opportunities on the horizon from neighbouring boroughs. In addition to the developments in location, LWA have also expanded their expert team with two new members of staff who have already proven valuable additions to the company. Utilising her wealth of experience in the accountancy and payroll sector, Jean Boardman’s primary role is to ensure that all client payroll’s run smoothly and are all delivered on time; a role to which she has adjusted to seamlessly after just one month with the firm. Adina Bamber has been recruited as an Accounting graduate to assist with client audit and tax needs, and is looking forward to growing with the firm.